Looking for an inexpensive and contemporary way to fill some blank walls space in your home? A unique vinyl decal is a cost effective and wonderful decorative solution. I was recently introduced to Urban Walls and love their assortment of designs. 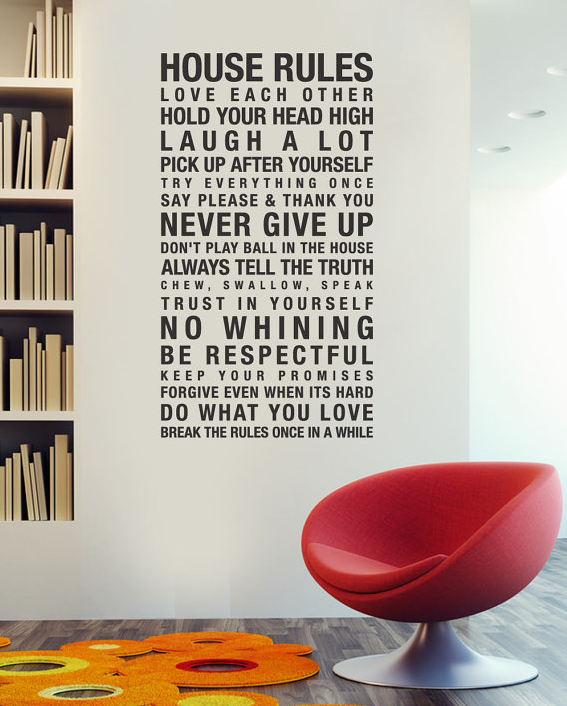 How cute are these house rules? They are great for a playroom or kitchen nook. How about these graphic flowers for a teen room? Now everyone wants something decorative above their crib but you can't hang glass or anything heavy for safety sake. 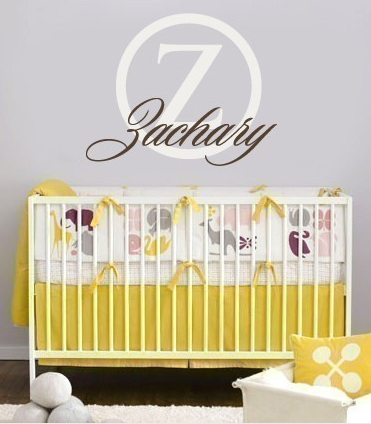 A personalized name decal like one of these from Urban Walls is a wonderful solution. This week Urban Walls is giving this name decal away to one of our lucky readers. This is actually two decals which can be layered for a unique effect. It can be personalized in an assortment of colors and is a nice 2 foot size. To enter please post a comment below and don't forget to include your e-mail so that we can contact you if you win! Winner will be announced on Sunday! love this and would love to win! Love decals and what a great giveaway! Wow. I LOVE the house rules! That would look perfect in our Hamptons home! 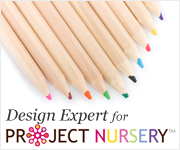 The name decal would look AMAZING in our children's playroom. Such fun stuff! XOXO. Want to do this in my beach house!!! The name decal is perfect for our little baby girl's nursery that we are working on to have ready for her arrival in February! Thank you for the opportunity to win this perfect little detail! Such great decals! Love the house rules one and the name one! Please, oh please, pick me! :) The space over our crib is empty and that would look perfect! That's the best list of house rules that I've seen yet. Nice! Who doesn't love having their name plastered on the wall? :) Love it! I need this! I always wondered why so many designs show picture frames above the crib. I want a FABULOUS nursery, but I dont have a fabulous budget. Make my day and pick me, PLEASE! Absolutely creative and ingenious designs! Haven't come across the perfect name design for our daughter's room...she's 4 now and their name design would be perfect!! i am in LOVE with these. 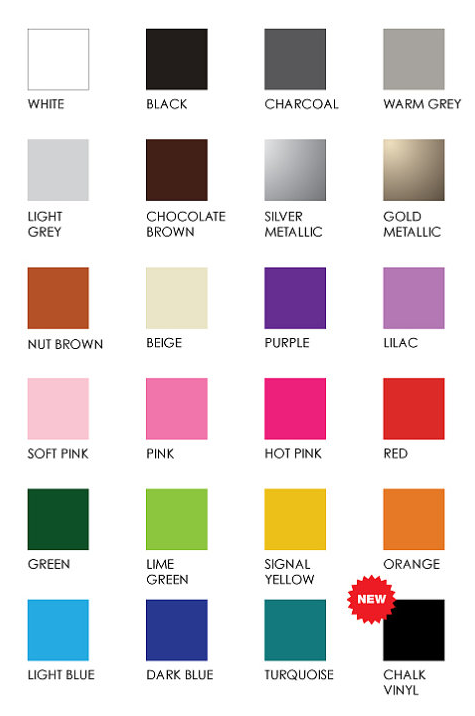 i've been looking for a wall accent that's modern and a little funky for my baby girl's room and this would be perfect! Love this idea! Thanks for sharing. 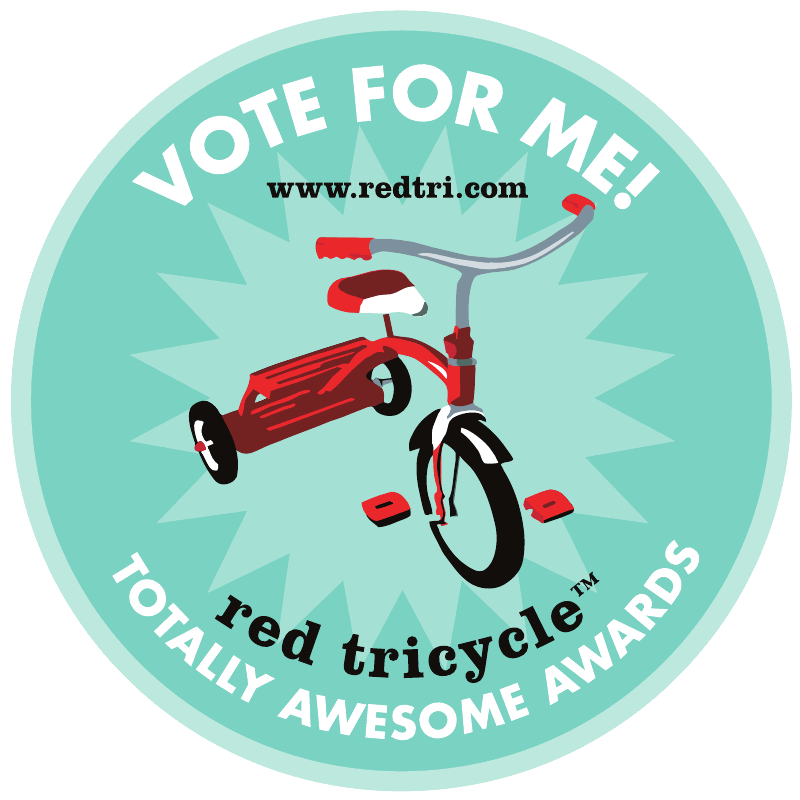 Fingers crossed that I win a decal! :) P.S. I love your site. It's stunning. Just made the cut! I think what I have currently hanging is too heavy and this is perfect to fill the space! cgkirk@yahoo.com! YAY! Wow that's just amazing! I would love to win this! My wonderful princess is due in february! This would be perfect for her room! My email is musicfrk321@gmail.com! Pretty please, I'd love to win this giveaway for my son's nursery! What a great company & wonderful decals! Fingers & Toes crossed! ;o) My email is cr8ivejules@aol.com ~ hope to hear from you on Sunday!